How do you use sin, cos and tan to find missing sides or angles of right triangles? 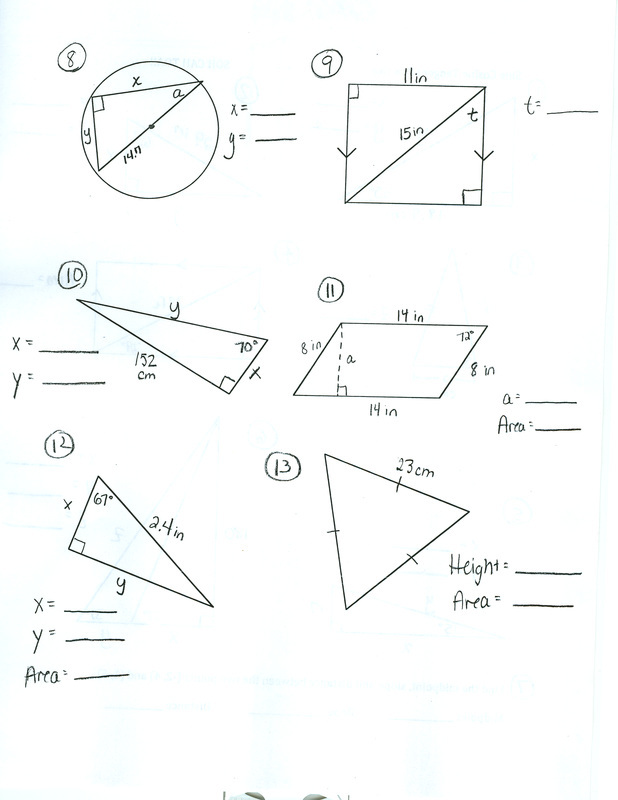 How do you use trigonometry to solve real world problems? How does Geometric reasoning explain or describe the structure of our world? 2. Explain and use the relationship between the sine and cosine of complementary angles. 3. Understand that by similarity, side ratios in right triangles are properties of the angles in the triangle, leading to definitions of trigonometric ratios for acute angles. 4. (+) Understand and apply the Law of Sines and the Law of Cosines to find unknown measurements in right and non-right triangles (e.g., surveying problems, resultant forces). Finding missing measures of sides and angles in right triangles and non-right triangles. 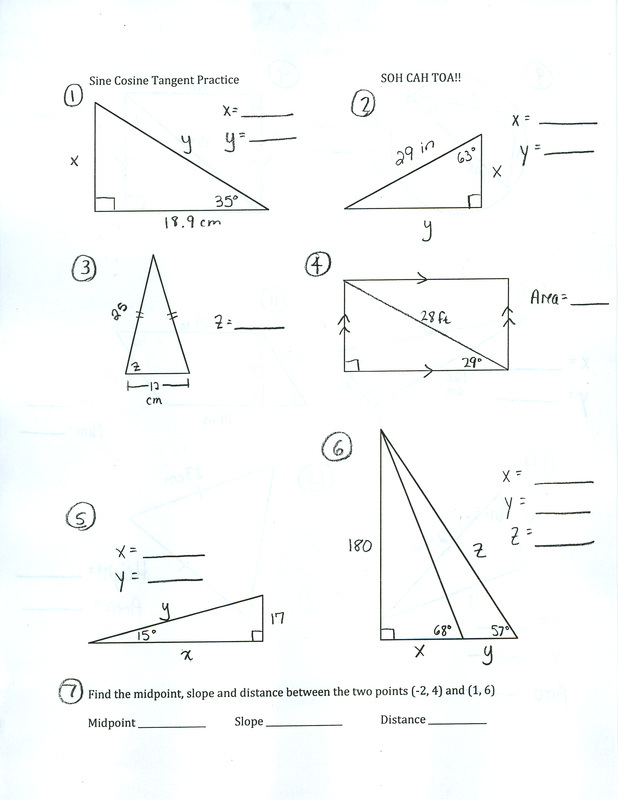 Use Right Triangle Trigonometry to solve a right triangle. Day 1: Background Information...You MUST learn the following pre-information before you can successfully use trigonometry to solve triangles. After you learn to set up problems, you will learn how to enter them in your calculator. SOH CAH TOA practice: Using sine, cosine and tangent... and Pythagorean Theorem and Special Right Triangles if needed! !